In this article, We will explain How to Expand Virtual Machine Hard Disk & Extend the Operating System Drive in Windows Server? Expand Virtual Machine Hard Disk. Open Vmware Workstation > Open the Virtual Machine. From the left side > Click on “Edit Virtual Machine settings”. At “Hardware” Tab > Click on “Hard Disk”. Below “Disk Utilities” > Click on “Expand” button > Set the required extended size. Now you must repartition the disk and expand the file systems from within the guest operating system. The disk was successfully expanded. You must repartition the disk and expand the file systems from within the guest operating system. Extend Hard Disk in Disk Management. Open Server Manager > File and Storage Services. 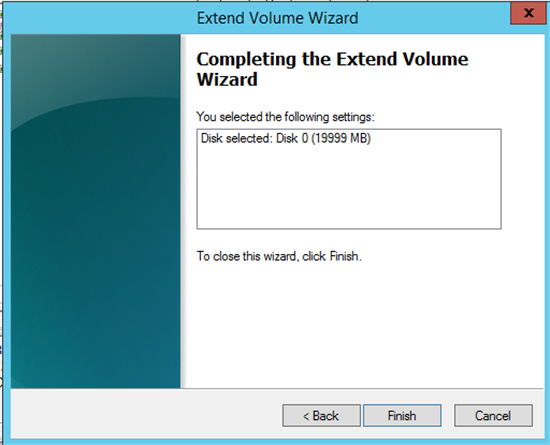 Navigate to Disks >Right click on C:\ Drive > Select Extend Volume. The Extend dialog will be shown to set the New size. Set the New size > Click OK.
You will get “Extend failed” status. Error extending volume: Size Not Supported. We also tried to repartition the hard disk through Computer Management but unfortunately, The Extend option is disabled. In this case, you will need to unallocated the drive space beside the operating system drive. (In our case, it’s F:\ ) but this means all data in this drive will be deleted! So, before we get started you should Make sure that the unallocated space is at least equal to or greater than the used space in F:\ drive (the drive beside OS drive) to ensure that you can move the F:\ drive content to this space. Create a new simple volume from the unallocated space. Move the data files from F:\ Drive to the New Volume > Delete F:\ Drive. 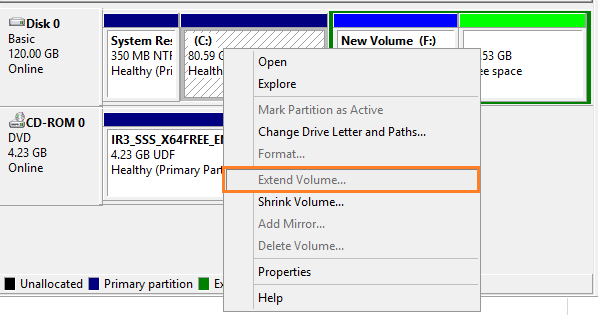 You are now having unallocated space beside the Operating System drive, and the “Extend Volume option” is now enabled. 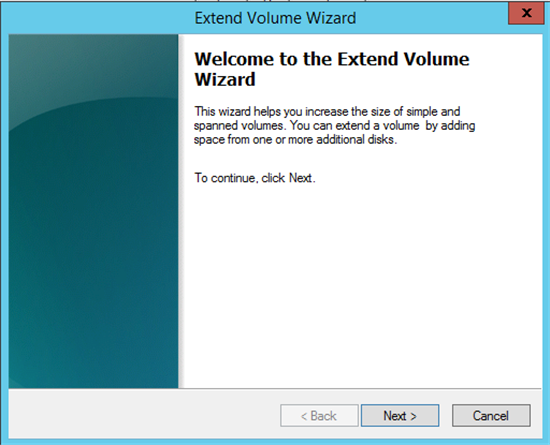 Click on Extend Volume to launch the Extend Volume Wizard > Click Next. By default, all free space will be set, you can change the amount of space based on your requirement > Click Next. The OS Volume should be now extended successfully > Click finish. In this article, we have learned How to Expand Virtual Machine Hard Disk & Extend the Operating System Drive in Windows Server Step by Step. Extend volume option is disabled in Windows Server Disk Management. Windows Server: error extending volume: size not supported.